The channel will be available to viewers from August 15, and will have programming catering specifically to the Tamil speaking audience. With this, the network will shut down its Tamil feed for Discovery Channel. The idea of going regional seems to be catching on, with Discovery Networks Asia-Pacific being the latest player to join the bandwagon. After launching various language feeds, the infotainment network has launched Discovery Channel Tamil, a new 24-hour channel. The new channel will be available to viewers in Tamil Nadu from August 15. 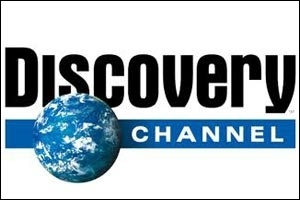 With this, the network will close the Tamil language feed for its flagship brand, Discovery Channel. Speaking to afaqs!, Rahul Johri, senior vice-president and general manager, South Asia, Discovery Networks Asia-Pacific, says, "In case of regional channels, after Hindi, Tamil Nadu is the biggest market. Therefore, we decided to launch a channel specifically catering to the viewers in this region." The new channel will boast of a completely new look and will have a separate advertising inventory as the network is of the opinion that Discovery Channel Tamil will appeal to South India-based advertisers who want to reach out to audiences in their region or even pan-India. According to Johri, the advertiser can either select the entire network or even a single channel, in this case Tamil, to reach out to its target consumers. In terms of programming, the channel will have programmes such as How Do They Do It, Man, Woman, Wild, Monsters inside Me, Swamp Brothers, and Rising: Building Ground Zeros, along with a few special programmes on Tamil Nadu such as The Lost Temples of India and Thaipusam. Johri explains, "The programming has been designed keeping the Tamil viewers in mind. While certain programmes will be from the existing library, a few new ones will be introduced in the future." The new channel will be a paid one and will be available at Rs 16.05 (ala carte) in non-conditional access system (non-CAS) areas, at Rs 5.35 in CAS areas, and in case of direct to home (DTH), the channel will be available at Rs 8. The channel will be available to 10 million cable and satellite households from the very first day and later, within a month, will also be available to DTH homes as the broadcaster is currently signing deals with DTH players. For the record, Discovery Networks Asia-Pacific, in addition to Discovery Channel Tamil, operates and runs six more channels in India -- the flagship Discovery Channel, Animal Planet, TLC, Discovery Science, Discovery Turbo and Discovery HD World.